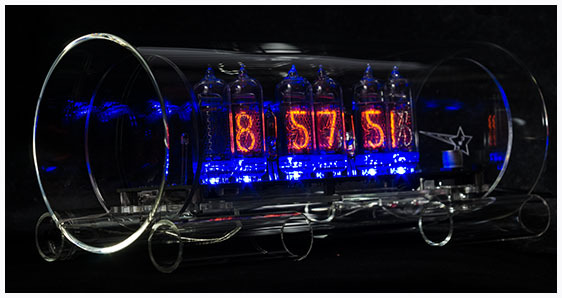 Nixie Clocks. 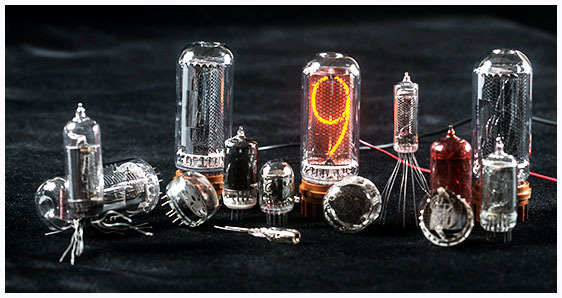 An interesting combination of Cold War era Nixie tubes, today's microprocessors and surface mount technology. 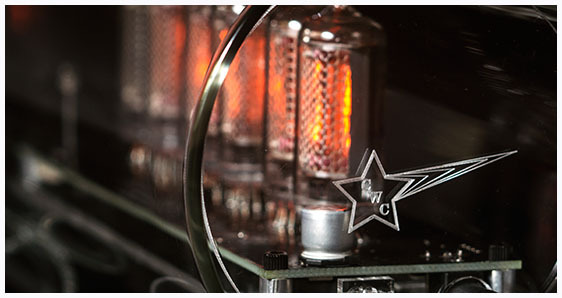 Cold War Creations has several styles and sizes, from the Glass Clocks in the cylinder case, acrylic clock case style to metal cases. All types are designed to capture the Cold War style and look. The purpose of Cold War Creations is to bring alive the look and feel of the Cold War, without the drawbacks of the threat of nuclear war and the tensions of the time. The attempt is to create Art and useful items with a Cold War style or design, bringing back the look and thoughts of that era. 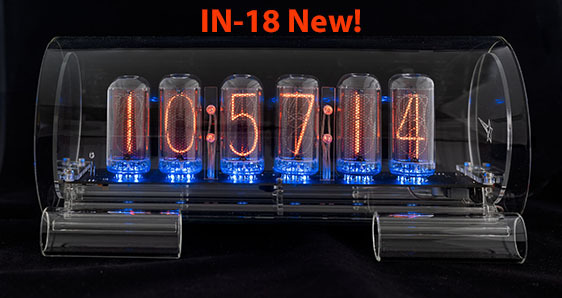 The Cold War Creations store is where many of the featured clocks on this site can be purchased. Cold War Creations clocks are available at several online stores. The clocks are sold complete and ready to go. Everything is included from the manual, AC adapter and clock. 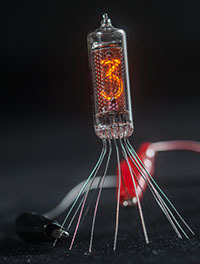 Nixie tubes were one of the first styles of digital displays. 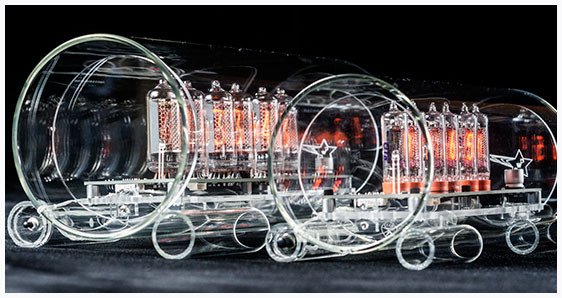 They used vacuum tube technology of the day. 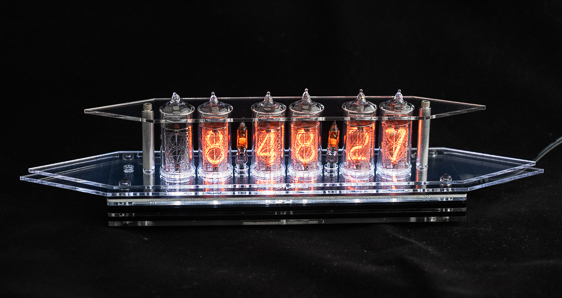 They're known for their individually formed numbers and soft orange glow. 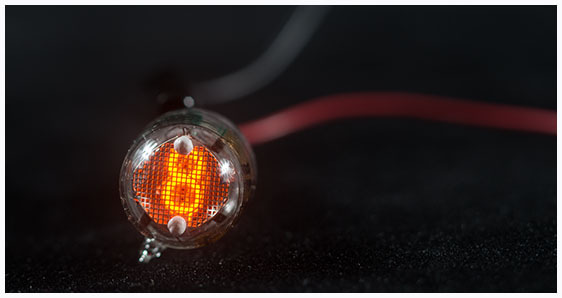 Nixie's quickly went out of fashion due to high cost, high voltage interface, and delicate construction.